It's me again scouring the earth for things I don't have. 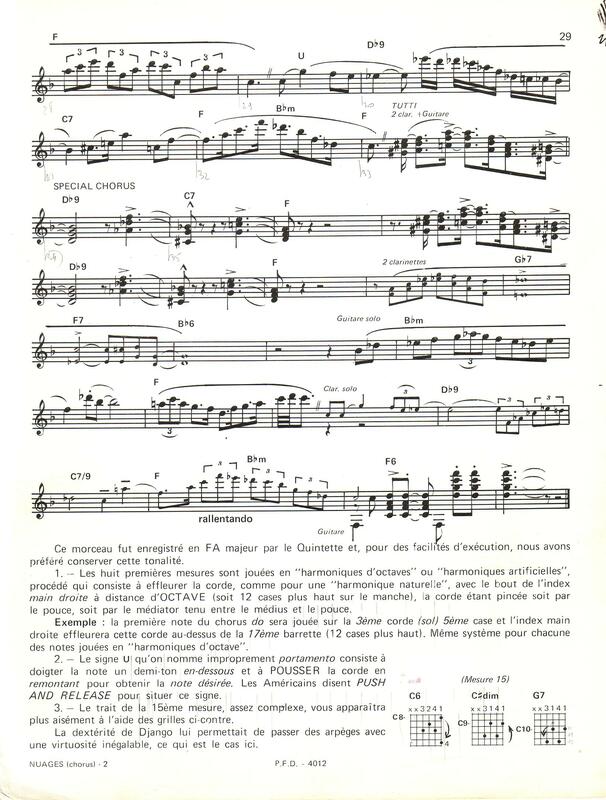 Does anyone have - or know where I can get - a copy of Nuages and Douce Ambience in Standard Musical Notation (ie, not grilles or tab)? 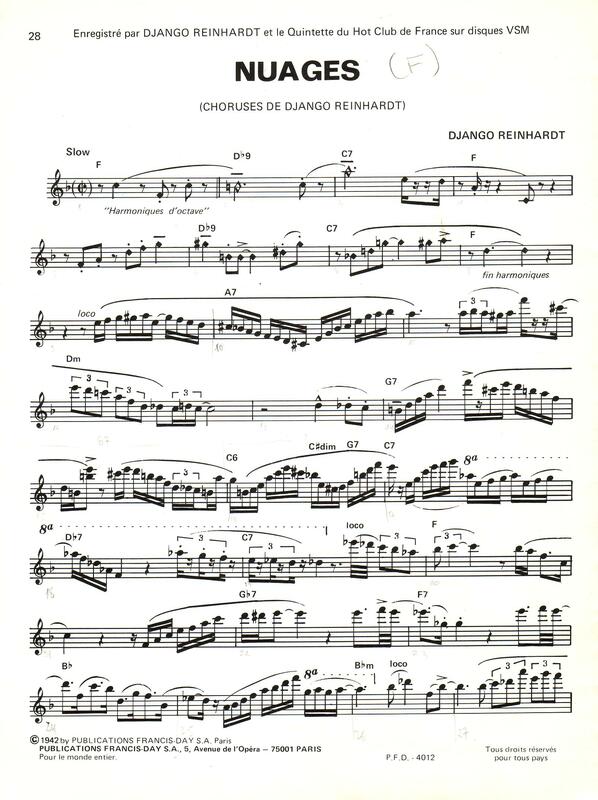 Complete Django: The Ultimate Djangos Book" border="0"
and page 2 of René Duchossoir's transcription.